Wrinkles can be frustrating, and they tend to appear at the most inopportune times. However, they are a sign that you are advancing in years. Thanks to great strides in aesthetic medicine, there are now non-invasive treatments for combating the signs of aging that are way more effective than surgery was in the past years. 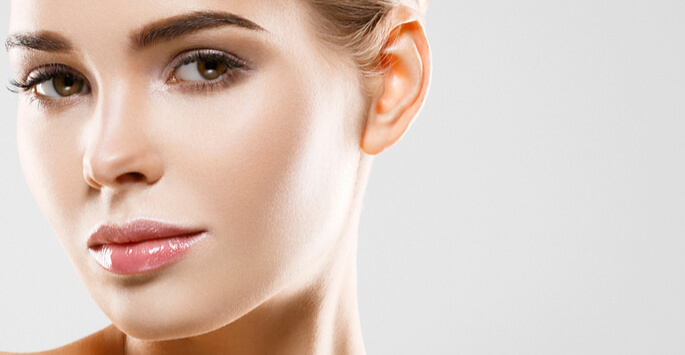 These are injectable treatments, and some of the most popular ones are dermal fillers which are offered at Wayzata Cosmetic Surgery by seasoned professionals. Dermal fillers are chemical solutions that are used to fill beneath the skin to even out wrinkles, fine lines, and sagging skin among other signs of aging. There are different types of dermal fillers for treating various issues, but why should you use fillers instead of other treatment alternatives? The most significant edge injectable fillers have over other wrinkle treatments is that they are not invasive. You get to restore your youthful look, get of rid wrinkles and even scarring with only a few injection sessions. It is a known fact that fillers are very convenient. They are sometimes referred to as ‘lunchtime procedures’ because of how quick the procedure is as it usually takes about thirty minutes to an hour. The lack of downtime alone makes injectable fillers lucrative and convenient for anyone who wishes to reverse the signs of aging, take control and still not compromise their time. Contrary to beliefs that injectables wear off quickly, dermal fillers can last anywhere from six months to a year or even two depending on the type, location, and concentration of the fillers. This removes the need for regular sessions. After an injection session, the results are almost instantaneous. You should begin to notice the effect of fillers shortly after the treatment, but optimal results could take a few days as collagen works its magic under the skin to restore facial volume and skin rejuvenate the skin. The safety of dermal fillers is more than can be said for other alternatives. The substances used in fillers are naturally found in the body such as hyaluronic acid and collagen. However, you should always consult our doctor to determine if you are a candidate for any treatment. Dermal fillers are quickly becoming a first choice treatment for wrinkles and skin rejuvenation. If you are considering hopping onto this bandwagon, then it is in your best interest to do it at the hands of the experts at Wayzata Cosmetic Surgery in Minnesota. Contact us today to schedule your consultation!